The impact of natural events such as floods, droughts and coastal storms will become more severe as populations grow and the landscape is increasingly modified, especially as climate change is projected to increase the severity of extreme events. In northern Viet Nam in particular, this change puts infrastructure like roads and irrigation schemes at greater risks from impacts of flash floods and landslides. The cost of building new infrastructure and repairing existing infrastructure will be high. In many parts of the world, vegetation has been incorporated in engineering design to protect natural terrain and man-made structures from the problems associated with land degradation, but bioengineering has seen little uptake in Viet Nam. The objective of the Promoting Climate Resilient Rural Infrastructure in Northern Viet Nam project was to demonstrate and promote the application of effective bioengineering measures in road and riverbank slope protection, and to initiate the development of a relevant policy framework so that the techniques employed in these bioengineering demonstrations can be replicated elsewhere in the country. The sites trialled a range of bioengineering techniques at four demonstration sites in northern Viet Nam, and formed the physical basis of a process of knowledge transfer to Ministry of Agriculture and Rural Development (MARD) and Department of Agriculture and Rural Development (DARD) staff through associated workshops and site visits. Vietnamese technicians at various levels were introduced to the concept of bioengineering, involved in the site design and implementation process, and were shown first-hand how the methods are applied and work. A grant for this technical assistance (TA) project was provided by the Global Environment Facility (GEF) through the Asian Development Bank (ADB). 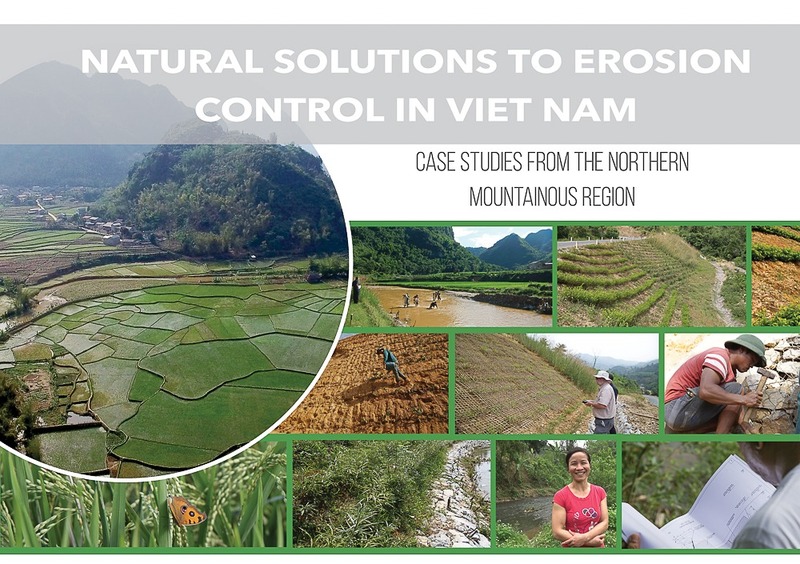 As part of the project outputs, ICEM produced Natural Solutions to Erosion Control in Vietnam, a publication that documents the work carried out at the four demonstration sites: two riverside slopes, one in Son La Province and one in Bac Kan Province; and two roadside slopes, one in Son La Province and one in Thai Nguyen Province. The publication includes lessons learned from the project, and discusses necessary steps for the widespread application of bioengineering measures in road and riverbank slope protection in Viet Nam. The publication is written with the layman in mind, and aims to communicate project results to a broader audience outside of technical experts.